Since the dawn of our nomadic ancestors, farming has continued to rapidly evolve. Due to industrialisation, technological advances and the continuous rise of our global population, we are constantly looking for innovative ways to increase productivity. Our local farmers are being put under constant pressure to conform as a result of these rising needs. Farmers are incorporating pesticides, insecticides and heavy machinery into their processes to increase the efficiency of their farming. This is contributing to the death of our planet and consequently the death of us. We must ask ourselves, are farmers not aware of the damage they are causing? Do they care? If you found yourself in the shoes of a farmer, would you compromise the financial welfare of your family for the future of the planet? The financial strain on farmers has become more evident in recent times with the effects of climate change. Unfortunately, the first compromise that is often made is at the cost of our planet’s ecosystem. Kickstarting the organic campaign begins with you, the consumer. We control what is stocked on our local supermarket shelves. Increased demand for organics will not only support farming in this sector but it will also bring health benefits for us all. The deciding factor often comes down to cost. Buying an organic pack of apples might cost you an additional 15% but what if I told you this extra cost could be recuperated with more efficient grocery buying. Food wastage costs each household in Ireland up to €1,000 a year. 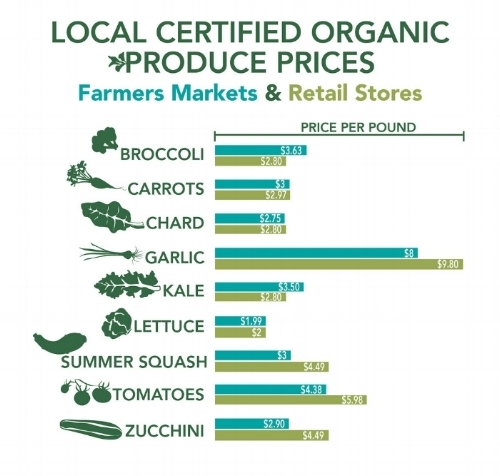 So why not shop organic and smart? How do we introduce a change of mindset? After talking to range of various age groups who buy organic products, we found that the main deciding factor to go organic are the health benefits of a non- pesticide product. The environmental impact is often not considered. We hypothesize that if more people know the environmental impact of non-organic produce, the popularity of organics will rise greatly, benefiting you the consumer, farmers and our planet. So, what is holding you back from organic produce? We’d love to know. If you have any thoughts on this subject contact us via email. Why is it so hard for industry adopt lessons from research?